Limited Edition- Even this RAW material is $150 a foot, and can only be produced in small quanities. Patterns you see are actually made in the metal. Not engraved or lasered. Machined to Perfection - Smooth Threads and Close Seams give our mods the look of being a single piece. 304 Food Grade Stainless Steel and Brass- solid materials so that you know you have a quality product in your hand. 145 Tellurium Copper Contacts (99% pure) - Eliminates Voltage Drop and produces a smooth continuous current for quality vapor. 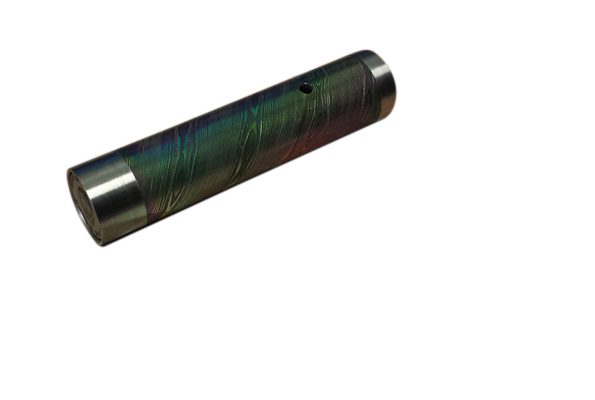 Magnetic Switch- Decreases Voltage drop and produces a smooth consistent throw. Zombie Sniper Scope Top Cap- Huge airflow with a stylish twist. Recessed Firing Button- Super Convenient and easy to use. Zombie (Serial) ID#- Gotta know that you have an original. Hand Written Certificate of Authenticity - We take a lot of time with each mod so that you know the people who made it actually care. Zombie Survival Kit Included!- Everything you will need when the Zombie Apocalypse finally comes….. Non-perishable food, First-Aid, Glow sticks, "The Infected" Keychain.